Such a fun, adorable idea from this week’s Creative Kids guest blogger, Lauren from Sophie’s Nursery. This super “Peek-A-Boo Family Tree” is a delightful game for young children who are learning their family & friends names & love games of Peek-A-Boo! 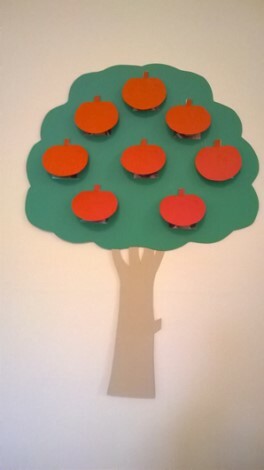 The tree is made so photographs of your family & friends under the apple ‘peek-a-boo’ flaps can be moved around keeping your little ones interested & extending their learning whilst having fun! Thick card to strengthen tree. Download the instructions & templates here. You can create lots of variations of this tree, for example you could vary the ‘peek-a-boo’ flaps so instead of apples you could use oranges, acorns or leaves. You could create a different shaped tree or even make your very own woodland with a set of trees each having photos of different family groups, friends or favourite toy families (e.g. Peppa Pig)! Remember – all children develop at their own pace. Keep it fun & relaxed you will still be giving them a developmental helping hand (see below). Make strong relationships with my special grown-ups. Understanding new words by pointing at what you are saying. Recognising written words that are special to me. Learning about & understanding the immediate world around me. Enjoy some quality family bonding! My name is Lauren and I am the creator of Sophie’s Nursery. I am 30 something year old mummy to the most amazing, funny and LOUD toddler, Sophie. She is the reason I started my blog – to share her craziness, cuteness and – most importantly – her inquisitiveness. 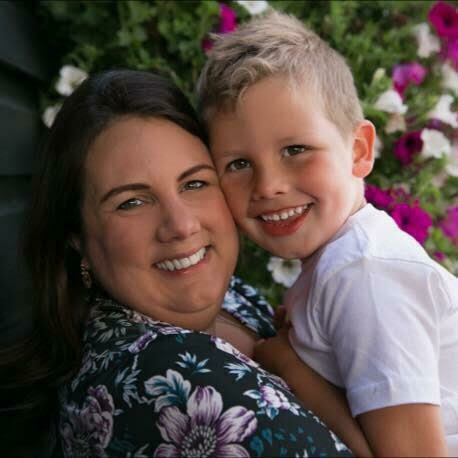 I am an experienced teacher who loves creating imaginative and sensory play with my little one and turning my living room into a ‘nursery’ (hence my blog’s name)!